Last week, Iamsu! and Problem wrapped their Million Dollar Afro Tour with a show, sponsored by VICE’s Noisey Music Rap Party series, at Santos Party House. The 12-date tour served as Iamsu!’s first headline run, a 12-city string of dates marked by sold out shows, rowdy performances, and special guests, including Wiz Khalifa, who surprised fans in Los Angeles by showing up to perform “Bout Me,” his collaboration with Iamsu! and Problem, and Juvenile, who came out as a special guest in San Francisco. Previously, Iamsu! and Juvenile had collaborated on the track “100 Grand,” from Su!’s $uzy 6 $peed mixtape, and today, Iamsu! is releasing a video for the single, premiered by TrillHD. 2012 was nothing short of a breakout year for Iamsu!. The 22-year-old popped up with a triple-threat performance on LoveRance’s “UP!,” which Su! produced, penned the hook for, and guested on with a scene-stealing verse. The song peaked at number one on Billboard’s Hot R&B/Hip-Hop chart, and in the midst of that success, Su! again delivered a fan-favorite verse on a big-time radio single, this time with E-40’s”Function.” Su! 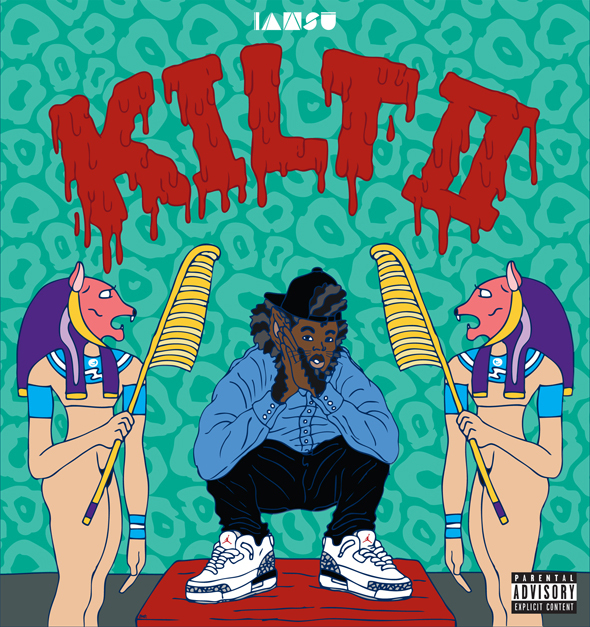 followed that success with a solo mixtape, KILT, and the critical acclaim came in droves, as the project was hailed by SPIN as their Rap Release Of The Week, with the outlet also naming Su! as one of their 5 Best New Artists for June ’12. Su!’s been plenty busy since – a west coast tour; a collaborative mixtape with Jay Ant; a standout collaboration with Wiz Khalifa, “Bout Me,” that appeared on Khalifa’s Cabin Fever 2 and will also show up on his sophomore album, O.N.I.F.C. Now, Iamsu! is prepping a new mixtape, $uzy 6 $peed, which was released exclusively through LiveMixtapes on November 10th. The tape is presented by Bay Area streetwear company Pink Dolphin, which will release an exclusive t-shirt and hoody for the tape. Iamsu! is back to work already in 2013, with the recent release of Million Dollar Afro, a collaborative mixtape with Compton rapper Problem, and plenty more solo music planned for the coming months.